Pupils and staff from St Teilo’s Church in Wales High School, located in Llanedeyrn in Cardiff, have joined forces to show their respect to the fallen Service men and women by decorating their entire school with poppies. 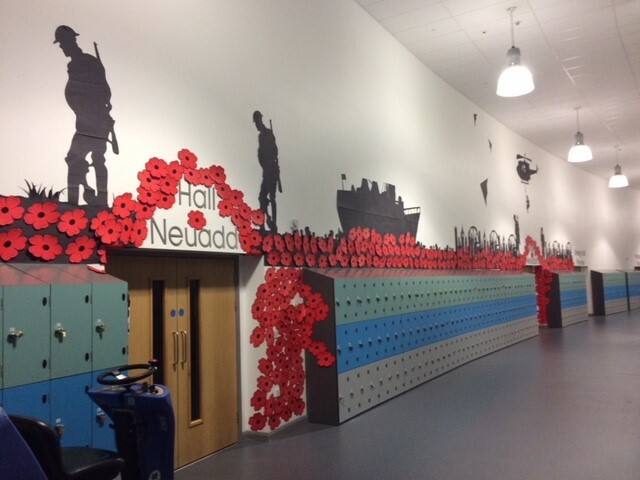 Each year the school creates remembrance displays, and this year the whole school has been transformed. Students across the age range have individually prepared one poppy with each petal containing a prayer, thought or reflection. When making their poppies, children considered the examples of great saints and took time to think about the community, those who are less fortunate than themselves and the people who fought bravely for freedom. 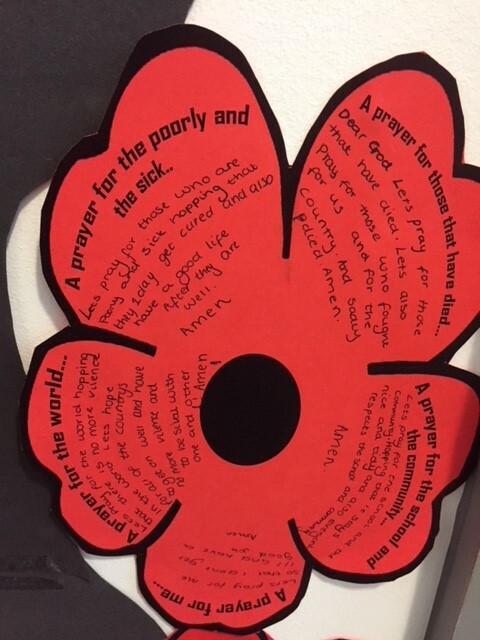 Ceri Weatherall, Headteacher of St Teilo’s Church in Wales High School, said: “Remembrance is an important part of the prayerful life of our school. It is our aim that in helping children to understand the sacrifices made by Service men and women throughout our history, they will become better ambassadors for peace in our future. This year, the school’s remembrance display includes over 1,200 poppies containing 6,000 prayers of peace, commemoration and intercession. It will be displayed until 24th November 2017.